CBSE 10th Results 2016 CBSE Board Result of 10th Class :CBSE 10th Results 2016 are going to be released on 28th May 2016 at 2:00 PM. 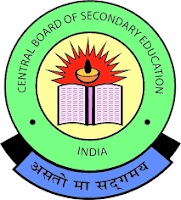 The CBSE exams of 10th class were held from 01st March 2016 to 28th March 2016 ,In 2015-2016 academic year, around 14,99, 122 students registered for CBSE 10th examination in which 8.92,685 students were boys and 6,06,437 were girls. We understand your feelings that you are too much curious about CBSE 10th results. Dear students Stay in touch with us on this page for your CBSE 10th results 2016 . The students who are appeared for CBSE 10th exams would be able to get the 10th result through online. which is available on cbseresults.nic.in and cbse.nic.in. The CBSE has conducted the 10th examinations from 01st March 2016 to 28th March 2016. As the board has recently announced the Senior secondary Results, its is expected that the CBSE 10th Result 2016 will declared on the said date at the scheduled time. So, it will be better if the students follow the official site www.cbse.nic.in or keep watching this space for some direct links. Click on the link 10th results 2016 then to open the results page. Click on submit to open desired 10th results. Check your 10th result and save it.